A cozy, hidden away hotel with a special atmosphere in a quiet villa quarter of Prague near to the Mozart museum Bertramka not far from the city center. 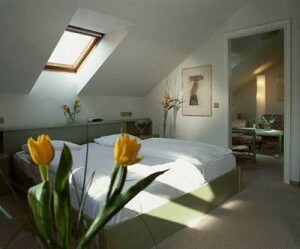 Newly renovated building with stylish rooms, view over Prague. Secure parking available. 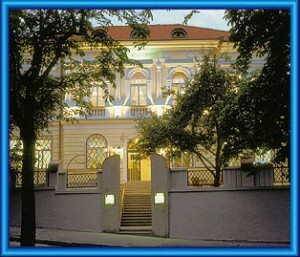 The hotel holds very interesting collection of pictures painted by famous young artist Markéta Vyle&#357;alová. The hotel is also famous for it's restaurant Le Lapin Bleu serving Czech and international food.